I’m not sure how or when it happened, but somehow, I seem to have become quite the non-fiction reader. It’s been awhile since my last Book List entry (although actually, it’s been awhile since my last post, period), and I can’t help but notice that the majority of books worth reviewing lately have been memoirs — and even the ones that aren’t are either based on real events or written as though they are fact. Sometimes, it seems, the truth (or at least one person’s perspective of truth) is far more interesting than fantasy. And once again, I seem to have rather accidentally themed the last few months of reading — this time around literary figures, big and small. Let’s dive in. This was one of the few fiction books in the pile and although it sounds like fairy floss, it’s actually a cracker of a read. I’d never actually read a single line of Hemingway before picking up this book, but I was hooked from the first chapter. 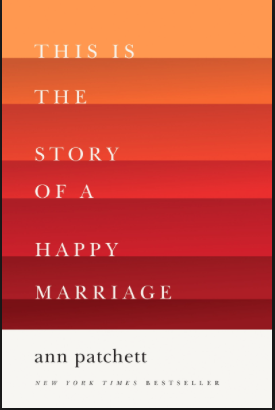 Wood has obviously done a lot of research and constructs a fascinating and somewhat haunting insight into one of America’s most celebrated writers through the eyes of his four (yes, four) wives over 40 years. You slowly learn to appreciate each woman who moves from mistress to marriage — even while sometimes questioning their logic. Hemingway doesn’t often come off well, declining from dashing to drunk and depressed throughout the course of the book. You can’t help but wonder why he didn’t just carry on affairs, instead of replacing wives every few years — although his travels in Paris, Florida, Idaho, and throughout Europe highlight his need for excitement as much as his constant proposals indicate his romanticism about what love should look like. At the end of the day, he does find stability, but by then, his spark for life had all but gone. 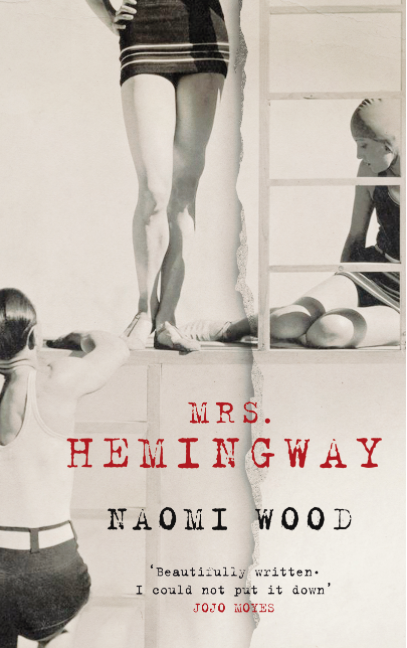 While Hemingway’s charisma could almost be it’s own character, this tale really belongs to the four very different women who love him: Hadley, Fife, Martha, and Mary. In three words: captivating, surprising, sad. After reading Mrs Hemingway, I felt like I had to go back to the source material. As luck would have it, someone in my book club brought along a copy of Hemingway’s posthumously published memoir, A Moveable Feast. Is it bad to say I didn’t like it as much as the book that inspired me to read it? 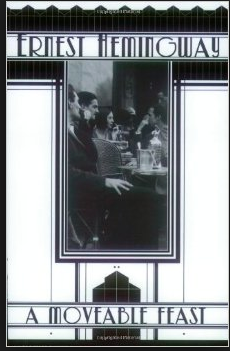 Certainly, it’s a rich and detailed account of his life in Paris in the 1920s and the colourful literary characters that he met along the way. But it’s less about his own growth and personal life — which let’s face it, I was craving after reading the fictionalised version! That being said, Hemingway’s clear prose and observations about life, writing, and the habits of work are really worth reading. The fact that he is reflecting on his life as a young man while in his twilight years is also interesting — how much is truth and how much is a result of rose-coloured glasses is really up to the reader. In three words: comforting, charming, eloquent. 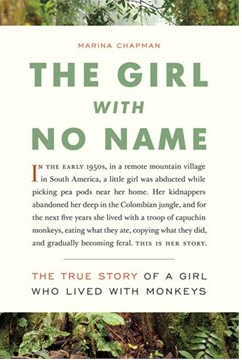 Now for a completely different change of pace — Marina Chapman’s stranger-than-fiction autobiography of her early life living with monkeys in the South American jungle and later, as a street kid in Colombia. Pieced together by her daughter, Chapman’s first years with monkeys is written almost as if a dream, but things actually manage to get crazier from there. You find yourself wondering how much could possibly be true, but post-reading research indicates that much of her story checks out. Chapman is obviously a vibrant woman and her love of nature, adventurous spirit, and resiliency shines through. Despite the dark events portrayed (kidnapping, homelessness, and child slavery), it’s never a drag to read her sparkling and energetic story. You just find yourself wishing you knew more about the woman herself — unfortunately, there’s so much packed into a rather short book that you never really get the chance to dive deeper. In three words: unusual, fascinating, resilient. Ok, so I was a little embarrassed to include this book, given the title. BUT it’s not what it sounds like — it’s actually a collection of well-written, short, non-fiction pieces from novelist Ann Patchett, who happened to start her career writing for magazines. Each story is themed around the idea of commitment and love — whether it’s her first failed marriage, her unconditional love for her dog Rose, caring for her dementia-ridden grandmother, or her later-in-life partnership from the title. Thankfully, the stories are never sappy, just engaging. Similar to Hemingway’s book, Patchett focuses much of her attention on work and her need to make ends meet through writing, although her tales from childhood at a Catholic school, struggles to find purpose, and travels across the US are also entertaining and relatable. A great read for anyone interested in writing or even just what it’s like to live as a writer. In three words: warm, absorbing, uplifting. Another fiction piece! Yet, it too is written as though it’s fact, following the Messiah-like Ben on his journey from poor construction site security guard to worshipped and persecuted God-like figure. The basic premise of the book is how would a Jesus-like figure be treated today and how would he react to the hate preached by major religions? 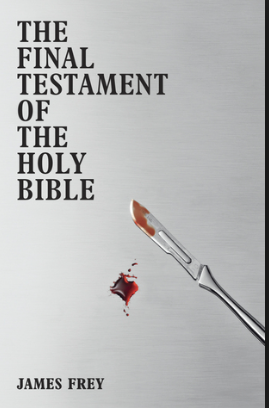 The book is a criticism of modern-day politics, religion, and society, but it’s about as subtle as the fanatics it lampoons. Love him or hate him, Frey is a great storyteller who creates a captivating tale that brings up some excellent criticisms about modern society — only to kind of ruin it by turning into a bit of a preacher himself by the end. It’s a pity, because otherwise I’d highly recommend this book. In three words: thought-provoking (is that two words? ), engrossing, hypocritical.